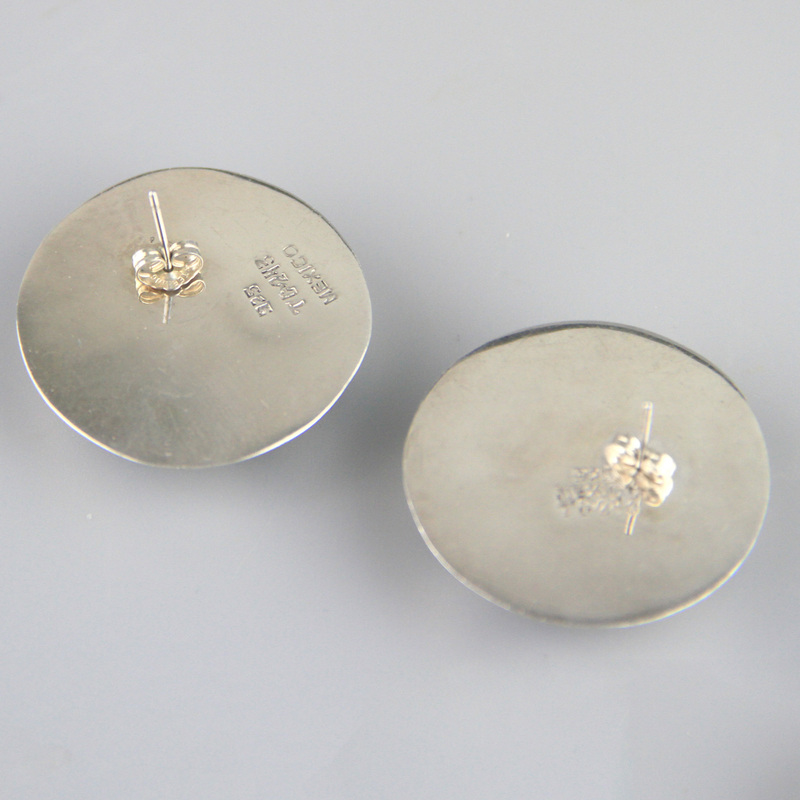 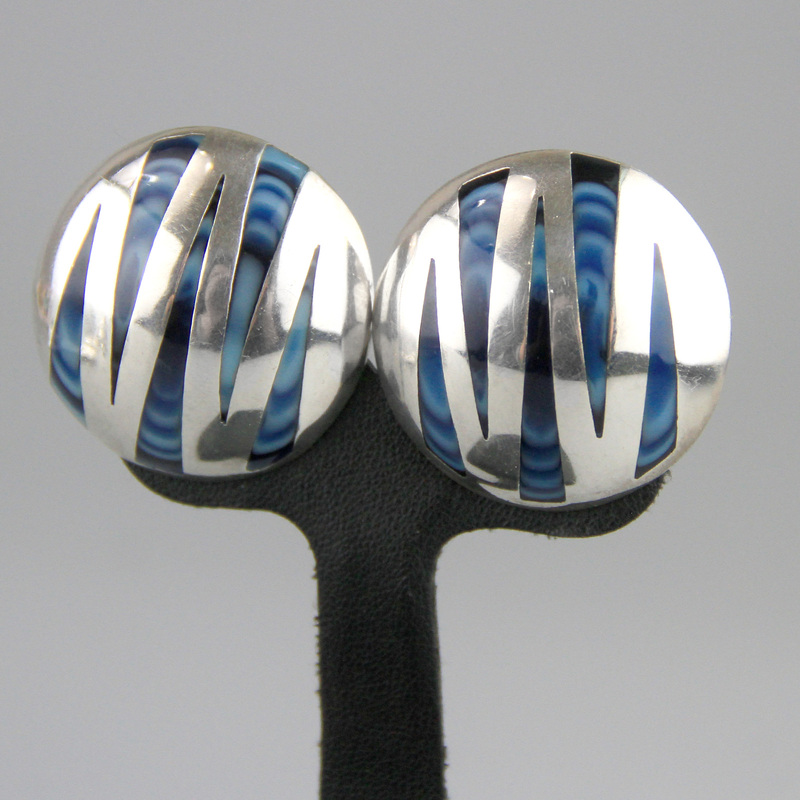 Fantastic big 80's Taxco vintage sterling silver studs earrings. 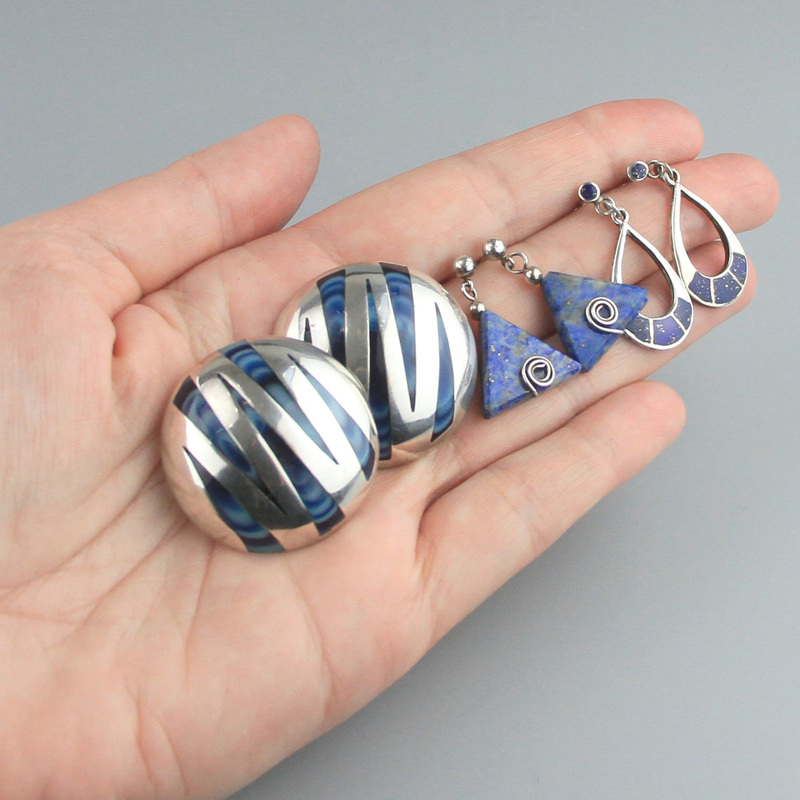 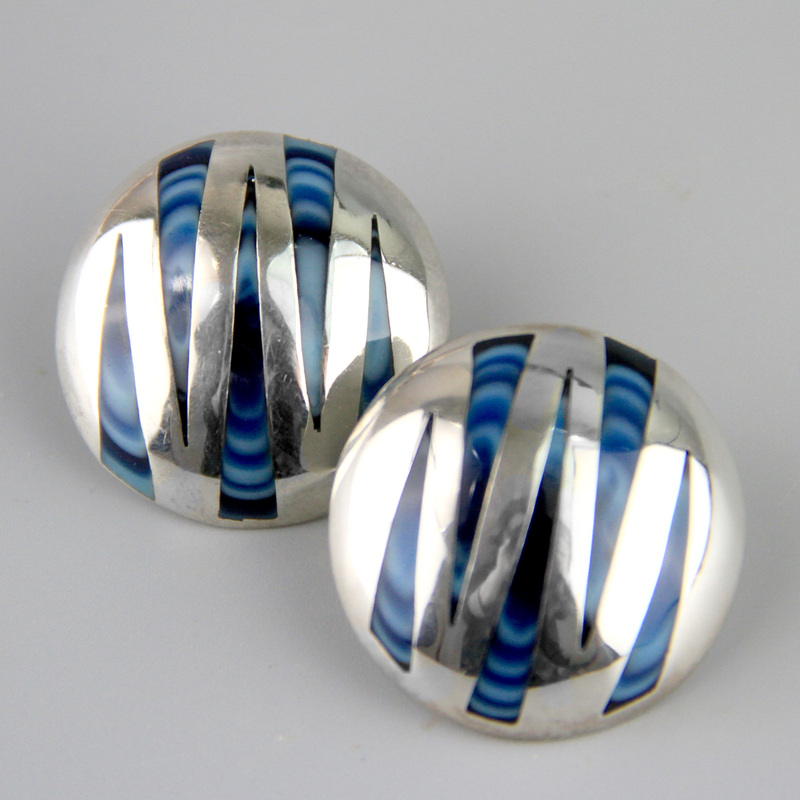 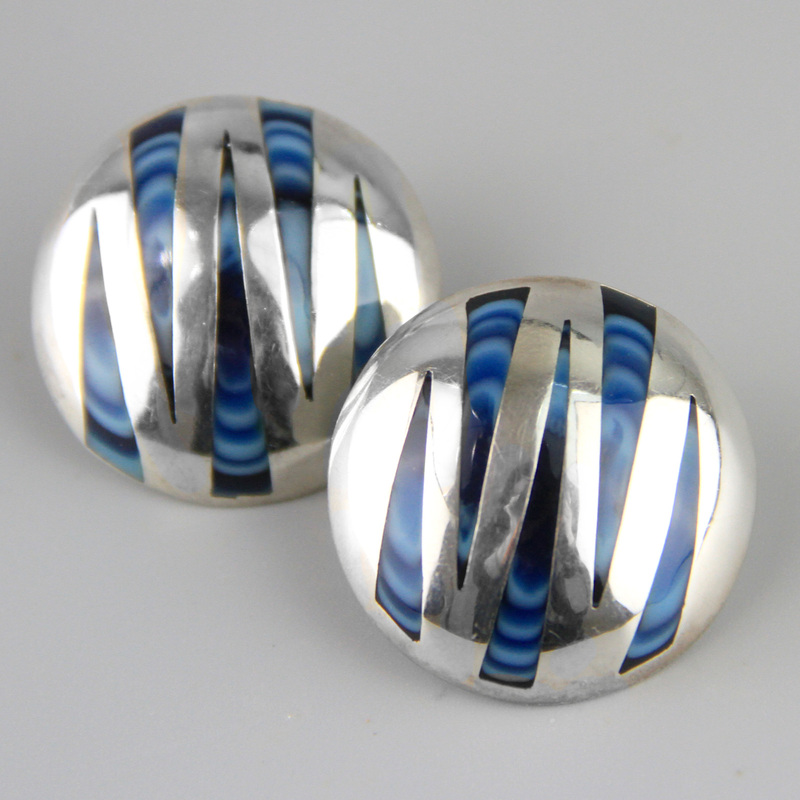 Handmade in Taxco, Mexico c1980's these are a lovely quality large repose dome with silver geometric strips and a blue enamel inlay, reminiscent of animal print. 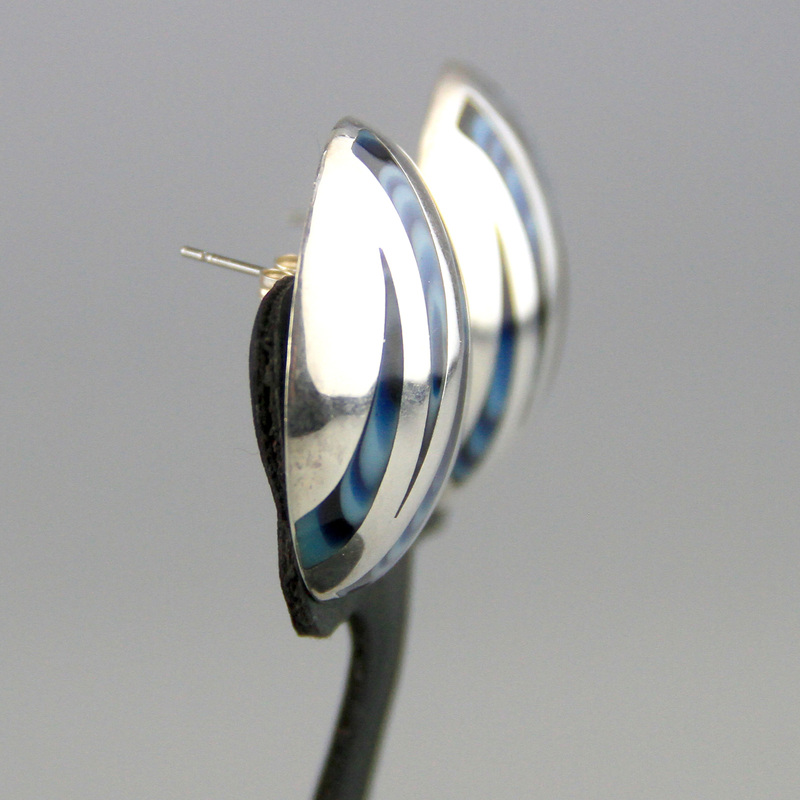 Nice and light to wear but a great large statement earring.